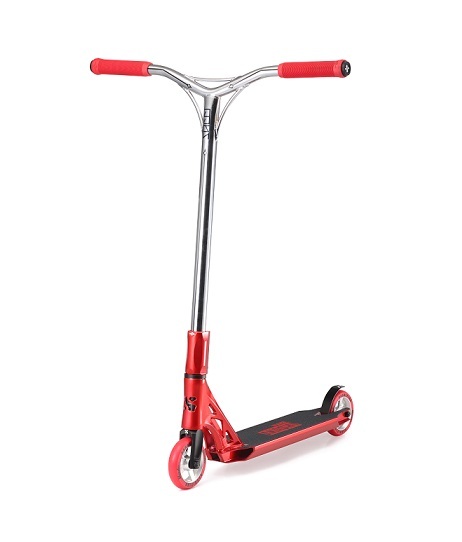 The Akashi Complete Scooter is the ultimate pro scooter. It has been in development for 18 months with Sacrifice expert product developers and our Pro Riders. 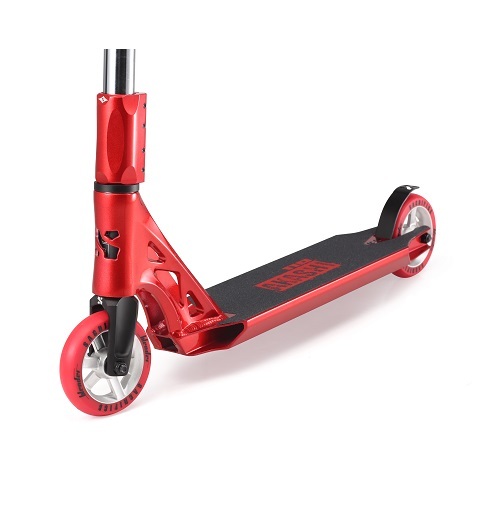 It’s designed for serious riding and the deck’s forged neck with base welding gives extreme strength. It comes in a skatepark style 110 deck and a street style 115 option. 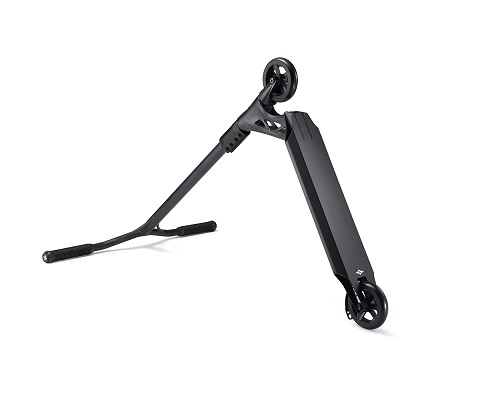 The 110 option has weight reduced in many places to keep your setup super light while doing air tricks in the park. The Akashi-110 complete uses our bullet proof SCS system with our Bionic Fork and Recon Clamp. The bar is our triple gusset Chromoly Sacci Bar and comes complete with the new forged Blender wheels. Also features our world first Rebound PU and high wall core design, a Taiwanese fully sealed integrated headset and our trusty S-Grips. Thank you for browsing our website, what you are viewing is the first and only complete skate and scooter store established in Western Australia November 2015, a non franchised family business with owners of 40 years skating knowledge and of a fully qualified mechanical technician back ground, catering from amature to pro skaters. As being involved with retail for over 40 years we know what the consumer is looking for affordable quality products, even though we have access to many brands, ever single product and part is carefully examined to be up to the standards we require before ampro skates accepts and promotes those products. This is why we don’t carry mass merchant disposable toys found in supermarkets or variety stores. Our dream was to combine our 40+ years of skating and technical mechanical experience and create a one-stop shop which caters to both the amateur & professional skater,with our main focus on quality affordable family products, which is a lot more difficult task than one could imagine,trying to find quality products that is affordable yet not a throw away disposable consumable. Carrying large stocks of kick scooters suitable from toddler age, right through to the pro rider. Brands of complete scooters and parts we stock are Envy, Flavor, Madd Gear, Crisp, Grit, Ethic, Samurai, Protec, Globber, Fox, Sacrifice, Syndicate,Venice & District. also stock a comprehensive stock of spare and replacement parts, headsets, hand grips, bearings, wheels, bars, decks, helmets & bolts. Being involved in the WA Roller Derby community, and pro scooter riders, ampro skates stock the appropriate quad skates and protective gear. We carry Bont, 187, Triple 8 & offer a wide variety in stoppers, plates, spare parts, wheels, bearings, protective gear and apparel with lots of skates and inline blades suitable for children, including those which can grow with your child’s feet. massive range of coloured laces, socks and novelties. Just recently improved the range of skateboard stocks, including novelty light up penny boards, long boards & double kick. Brands include Gopher, Trinity, Madd Gear, Eternal & NaNa. We also offer spare parts, blank boards, trucks. Take advantage of buying protection at store cost with our protection pack, with any set of skates, blades, scooter or skateboard, over $100 value we offer a safety pack valued up to $85, you choice of protection gear (helmets, knee pads, elbow pads and wrist guards) all for $49.00!